There is an ocean of books on statistics; where do you start? A big problem in choosing a beginner book on statistics is that a book may suffer one of two common problems. It may be a mathematical textbook filled with derivations, special cases, and proofs for each statistical method with little idea for the intuition for the method or how to use it. Or it may be a playbook for a proprietary or ancient statistical package with little relevance to the libraries and problems you face. 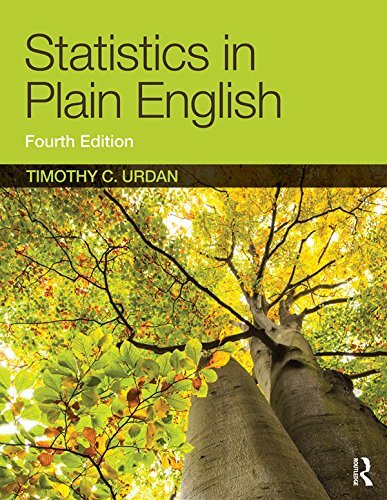 In this post, you will discover the book “Statistics in Plain English” for learning about statistical methods without getting too bogged down in theory nor implementation details. That the book is intended to provide a clear presentation of statistical methods for practitioners. The contents of the book focus on the foundations, Gaussian distribution, and parametric statistical hypothesis tests. A careful reading list can be used to learn about the specific methods relevant to machine learning practitioners. Statistics in Plain English provides an introduction to statistics for students that might be taking a statistics class as part of some other degree program in social sciences. It was written by Timothy Urdan who is a researcher and professor of Psychology. It is a popular book because of the accessibility of the writing and is currently in the fourth edition. I have the third edition, so any quotes and table of contents will reference that version. The purpose of this book is to make it a little easier to understand statistics. His intention is for the book to act as a compliment to a more dense textbook on statistics. Again, I think this is modest and mentioned because it does not dive into more mathematical rigor (derivation and proofs) behind the methods and focuses on the application and intuition for the methods (i.e. what you care about as a practitioner). I do think that the book is more than suitable as a first step into statistics. A short description of the statistic. A longer description of the equation and details of the statistics. A worked example for using the statistic. The book is not long at less than 200 pages. It also uses a large form factor 11 x 5.5 inches, meaning that physically holding the book gives a lot of space to the ideas and examples. If you have the time and are really new to the field of statistics, it is worth reading cover to cover. Seriously. Even if you’re familiar with the topic, it’s a great read. I recommend studying the table of contents. To get an idea of the breadth in topics for introductory statistics. To get an idea of what topics might interest you or be relevant to your projects. The presentation provides a clear separation of the topics. It allows you to pick and choose the topics or chapters that interest you the most and dive in, without having to read prior chapters. Thee book is organized such that the more basic statistics and statistical concepts are in the earlier chapters whereas the more complex concepts appear later in the book. However, it is not necessary to read one chapter before understanding the next. Rather, each chapter in the book was written to stand on its own. The book has a strong focus on the Gaussian distribution, which is reasonable given the importance of this distribution in both probability and statistics. The book also has a large focus on statistical hypothesis tests, specifically parametric tests, which aligns with the focus on the Gaussian distribution. The book does not have much on estimation methods, a little on confidence intervals, but nothing on prediction intervals and tolerance intervals. The book also does not cover resampling methods (bootstrap, k-fold cross-validation and more). The whole area of nonparametric statistical methods are also skipped. Nevertheless, these topics can be looked up in more targeted books. It’s a great book and I do recommend it if you are new to statistics and you’re looking for a clear presentation of the foundations that you really do need to know in applied machine learning. As I mentioned above, it is not a long read and well worth reading cover to cover. With that being said, not all chapters are relevant or directly useful to you as a machine learning practitioner. 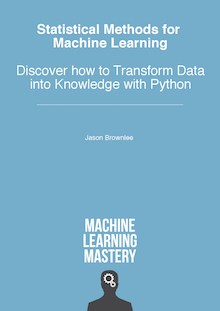 Below is a breakdown or suggested reading list of the book for machine learning practitioners. You could probably skip the other chapters. The chapter on linear regression (Chapter 13) might be of interest if you use the method and are interested in a deeper idea of how and why it works. Do you agree with this reading plan? In this post, you discovered the book “Statistics in Plain English” for learning about statistical methods without getting too bogged down in theory (proofs and derivations) nor implementation details (pages of code and commands for proprietary statistical packages). Do you have this book or have you read it? What do you think of it? Share your thoughts below. Are you thinking of getting this book?